Bruce Graham Trigger, OC, OQ, FRSC (June 18, 1937 – December 1, 2006) was a Canadian archaeologist, anthropologist, and ethnohistorian. Born in Preston, Ontario, he received a doctorate in archaeology from Yale University in 1964. His research interests at that time included the history of archaeological research and the comparative study of early cultures. He spent the following year teaching at Northwestern University and then took a position with the Department of Anthropology at McGill University in Montreal, and remained there for the rest of his career. He was arguably best known for The Children of Aataentsic, his two-volume study of the Huron peoples, a work which remains the definitive study on the history and ethnography of that people. The Children of Aataentsic earned Trigger numerous accolades, including adoption by the Huron-Wendat Nation as an honorary member. Trigger would later reiterate some of the key arguments of the book in Natives and Newcomers, a polemical work aimed at educating laypeople. In Natives and Newcomers Trigger, writing in the tradition of Franz Boas, argued that the colonial and Aboriginal societies of early Canada all possessed rich and complex social and cultural systems, and that there are no grounds to argue that any society of early Canada was superior to the others. Trigger's book A History of Archaeological Thought investigates the development of theory and archaeology as a discipline. A second and expanded edition was published in 2006. In Understanding Early Civilizations: A Comparative Study Trigger uses an integrated theoretical approach to look at the meaning of similarities and differences in the formation of complex societies in ancient Egypt and Mesopotamia, Shang of China, Aztecs and Classic Maya of Mesoamerica, Inka of the Andes, and Yoruba of Africa. In 2004 a session at the Society for American Archaeology (SAA) conference was dedicated to the research of Bruce Trigger. 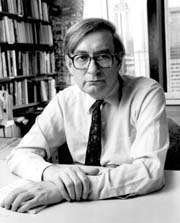 Trigger also made significant contributions to theory and debates on epistemological issues within archaeology. The 2003 book "Artifacts and Ideas" is a collection of previously published papers that trace the history and development of these contributions. In particular were his arguments about how the social and political contexts of research affect archaeological interpretation. One essay entitled "Archaeology and the Image of the American Indian" documents how archaeological interpretation reflected and legitimated stereotypes of Native American peoples and expressed the dominant political ideas and interests of Euro-American culture. For example, prior to 1914 Euro-American stereotypes resulted in a prehistory that saw native cultures as being primitive and inherently static. It was commonly believed that Native Americans had not undergone any significant developmental changes and that they were incapable of change. It was believed that natives had arrived in the Americas only recently, and this "fact" explained their alleged lack of cultural development. Some early Euro-American archaeologists explained away the contrary evidence of earthwork mounds as the creations of "more enlightened" non-native peoples who had been exterminated by Native American savages. These popular beliefs, supported by the claims of early archaeologists, served to legitimate the displacement of native peoples from their homelands. John Wesley Powell, who led the debunking of the mound builder myths, not coincidentally also recognized that great injustices had been perpetuated against Native American peoples. Although Trigger recognized that Euro-American political interests tended to influence and distort interpretations of the archaeological record, he also argued that the accumulation of evidence served to correct these distortions. In 1979 Trigger was awarded the Cornplanter Medal. In 2001, Trigger was made an Officer of the National Order of Quebec. In 2005, he was made an Officer of the Order of Canada. A Fellow of the Royal Society of Canada, he won their Innis-Gérin Medal in 1985. In 1991, he won the Quebec government's Prix Léon-Gérin. Trigger died of cancer on December 1, 2006. History and Settlement in Lower Nubia. New Haven: Yale University Publications in Anthropology, 1965. The Late Nubian Settlement at Arminna West. New Haven: Publications of the Pennsylvania-Yale Expedition to Egypt, 1965. Beyond History: The Methods of Prehistory. New York: Holt, Rinehart and Winston, 1968. The Huron: Farmers of the North. New York: Holt, Rinehart and Winston, 1969, revised edition, 1990. The Impact of Europeans on Huronia. Toronto: The Copp Clark Publishing Company, 1969. The Meroitic Funerary Inscriptions from Arminna West. New Haven: Publications of the Pennsylvania-Yale Expedition to Egypt, 1970. (with J.F. Pendergast) Cartier's Hochelaga and the Dawson Site. Montreal: McGill-Queen's University Press, 1972. The Children of Aataentsic: A History of the Huron People to 1660. Montreal: McGill-Queen's University Press, 1976. Nubia Under the Pharaohs. London: Thames and Hudson, 1976. Time and Traditions: Essays in Archaeological Interpretation. Edinburgh: Edinburgh University Press, 1978 (U.S. edition New York: Columbia University Press). Handbook of North American Indians, Vol. 15. Northeast, Washington: Smithsonian Institution, 1978. Time and Traditions: Essays in Archaeological Interpretation. Edinburgh: Edinburgh University Press, 1978. Gordon Childe: Revolutions in Archaeology. London: Thames and Hudson, 1980. (with B.J. Kemp, D. O'Connor, and A.B. Lloyd) Ancient Egypt: A Social History. Cambridge: Cambridge University Press, 1983. Natives and Newcomers: Canada's "Heroic Age" Revisited. Montreal: McGill-Queen's University Press, 1985. A History of Archaeological Thought. Cambridge: Cambridge University Press, 1989. Early Civilizations: Ancient Egypt in Context. New York: Columbia, 1993. The Cambridge History of the Native Peoples of the Americas [vol. I]. New York: Cambridge University Press, 1996. Sociocultural Evolution: Calculation and Contingency. Oxford: Blackwell, 1998. Artifacts and Ideas: Essays in Archaeology. New Brunswick, NJ: Transaction Publishers, 2003. Understanding Early Civilizations: A Comparative Study. New York: Cambridge University Press, 2003. A History of Archaeological Thought. 2nd ed.Cambridge: Cambridge University Press, 2006. ↑ Fenton, William N. (April 1980). "Frederick Starr, Jesse Cornplanter and the Cornplanter Medal for Iroquois Research". New York History. New York State Historical Association. 26 (2). JSTOR 23169465. 2003 Artifacts and Ideas, Essays in Archaeology. Transaction Publishers, New Brunswick, NJ. 2003 (1980) Archaeology and the Image of the American Indian. In Artifacts and Ideas. Originally published in American Antiquity 45:662-676. 2006 The Archaeology of Bruce Trigger: Theoretical Empiricism. McGill-Queens's University Press, Montréal.